Wipaq has FARGO C50 ID Card Printer for corporates, government agencies and schools to print full-color or monochrome cards without any additional software. 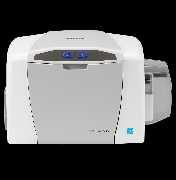 FARGO C50 ID Card Printers are mostly used for office purpose which is easy to use with less maintenance. Built-in Swift ID badge application allows you to create ID badges in seconds without having to install any additional software. FARGO Workbench printer maintenance and diagnostic software ensures optimal performance at all times.